Compatible with All Devices - 3M STICKER. (Photo above is actual part). This is a NEW part. 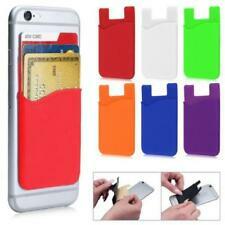 Adhesive Silicone Credit Card Pocket Sticker Pouch Holder Case For Cell Phone Condition is New. US Seller, Quick Shipping. Easy to stick with adhesive, safe to remove. 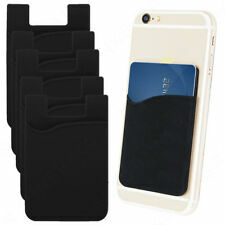 Peel back to expose adhesive backing, carefully position Pocket onto back of phone and press on. Universal size- 6.5 cm 8.5 cm. 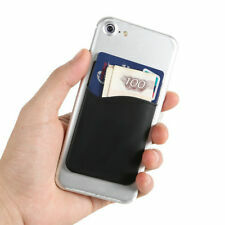 Leather pocket holds your valuables tightly. 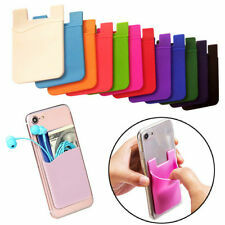 Attach to your case or directly to phone. It won't leave any residue or marks. 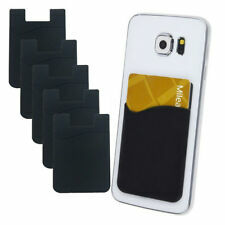 Thin matte black silicone credit card / money holder with adhesive backing. 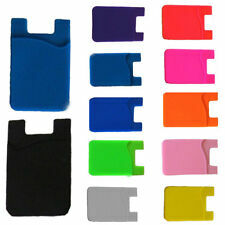 Fits cash, credit cards, ID cards, even earbuds.